Pokemon: The Rise of Darkrai or as its Japanese title directly translates "Pocket Monsters Diamond & Pearl the Movie: Dialga vs. Palkia vs. Darkrai" is the tenth movie in the Pokemon franchise and the first movie of Generation IV & the Pokemon Diamond and Pearl series. Like all of its predecessors this film was directed by Kunihiko Yuyama, and is also the second movie to feature the new voice cast. The films initial release came when it arrived in Japanese theatres on July 14th, 2007. The next release came in the USA when it was broadcast on Cartoon Network on February 24th, 2008. Later that year on the 29th Sept it made it to the UK and followed in Australia on November 5th. Later broadcasts include a showing on Jetix UK in February 2009, Jetix Spain did a showing on September 6th, 2008, Mexican Network Open Signal aired the movie on May 13th 2009 and Panda Biggs of Portugal aired it on Christmas day 2010. The main legendaries featured in this movie are given away a little by the translated Japanese title; Dialga, Palkia and of course Darkrai. Unlike the other Pokémon movies before it The Rise of Darkrai is the first movie in the franchise to have a direct sequel, it is infact part of a trilogy known as the Diamond and Pearl trilogy which comprises: The Rise of Darkrai, Giratina and the Sky Warrior, and finally Arceus and the Jewel of Life. In the DVD version of the Rise of Darkrai a little teaser was actually included at the end for Giratina and the Sky Warrior, said teaser featured Regiggias appearing from beneath the earths surface. This was the only proper teaser trailer to be included with a Pokemon Movie (as opposed to just a flash of a movies name, and expected release date) since Pokemon the Movie 3: The Spell of the Unown. While on their way to a Pokémon Contest, our adventurers pass through Alamos Town, home of the Time-Space Tower. With the beautiful Alice, Ash and his friends discover that something is causing terrible nightmares for Pokémon and people alike! Baron Alberto, a dashing but arrogant fellow, immediately blames this turn of events on Darkrai. 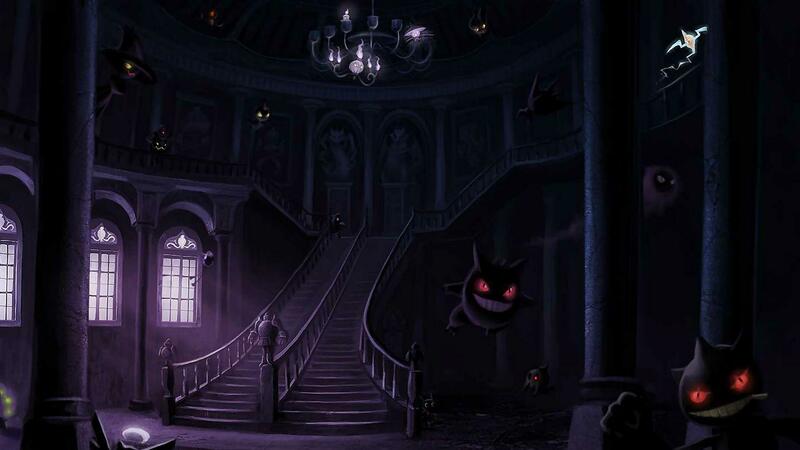 As if it just overheard the accusation, Darkrai appears and confronts our heroes! Who is Darkrai? Is it a friend... or foe? As the sky tears above Alamos Town and Legendary Pokémon Dialga and Palkia struggle through the rips in a newly created dimension, their ensuing battle threatens to tear a hole in the time-space continuum! Will Ash and his friends survive this showdown and learn Darkrai's true nature?